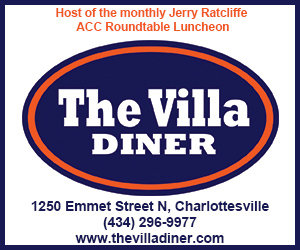 Last year was not business as usual for Virginia baseball. 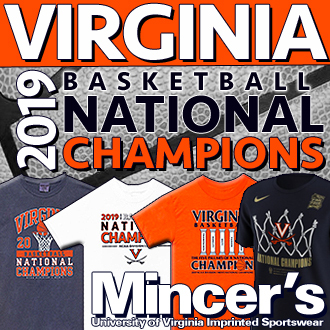 In fact, it was the first time in Brian O’Connor’s 15 years at the helm of the program that the Cavaliers failed to make the NCAA Tournament. A team crippled by key injuries managed a 29-25 season and finished fifth in the ACC Coastal Division with a 12-18 record. Those numbers were not up to O’Connor’s standards, not acceptable, and something he aims to correct in 2019. 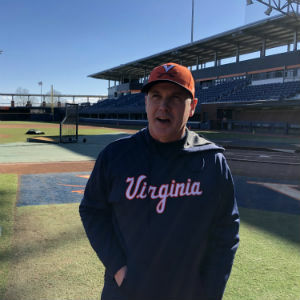 UVa officially opened practice in 30-something degree weather at Disharoon Park on Friday afternoon, a four-hour drill that included an intrasquad scrimmage. The Cavaliers will go at it hard for the next three weeks before a spectacular season-opening tournament against No. 1-ranked Vanderbilt and two other ranked teams (TCU and Cal State Fullerton) in Scottsdale, Ariz. (Feb. 15-17). One of his early goals this season is to get back to the basics. He and his veteran staff of Kevin McMullen, Karl Kuhn, and Matt Kirby put the program under the microscope last summer, analyzed what they could do better and more consistently. They collectively realized that the team was unfortunate with the injury bug and decided there wasn’t a lot that needed to be tweaked. “Now, our guys have a chance to get back and show what they’re made of,” the skipper said. One of those guys most eager to do just that is right-handed junior hurler Noah Murdock, who hasn’t pitched much since undergoing Tommy John surgery his freshman year. “We’re coming off a year when we didn’t have our best season and a we have a lot of new and young talent, so everybody is excited,” Murdock said. “I don’t think we’re necessarily looking at last year for missing the playoffs as motivation as much as keeping the expectations of being a powerhouse in the nation. “Coming into this year and continuing the legacy that teams before us have left is important to us,” Murdock said. 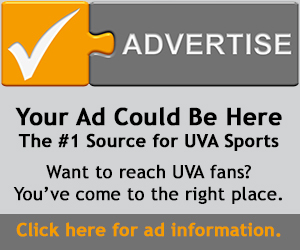 Virginia has 13 position players returning, including five starters, also eight returning pitchers and welcomes 16 new players, three of them transfers. The three junior college transfers include Blake Bales, a 6-foot-4, 225, right-handed pitcher from Manassas, who didn’t pitch during fall ball while nursing an injury but is now active. Also, Paul Kosanovich, another right-hander (6-4, 210) from Temple City, Calif., via East LA College, along with junior catcher Logan Michaels from DeForest, Wis., via Madison College. Kosanovich actually played college football for a while then moved to junior college last season to play baseball. “He really proved last fall that he’s going to significantly help us on the mound,” O’Connor said of the Californian. Also incoming is versatile catcher-infielder Drew Hamrock from Roswell, Ga., and local product Nick Kent an infielder from Gordonsville, who played at St. Anne’s-Belfield. “In the first semester, Nick looked really good at shortstop and I think he’ll have a great career in our program,” O’Connor said. Then there are a number of freshmen pitchers that have caught the coaching staff’s eyes, such as 6-4, 205, right-hander Mike Vasil of Wellesley, Mass., a very heralded player, and another right-hander in Zach Messinger (6-5, 190) from Chandler, Ind., who had an outstanding fall for the Cavaliers. The coach said usually when those guys return for their sophomore seasons, that’s when they make their largest impact to the program, and he expects each of them to make a significant jump in performance this year. Abbott, who appeared in a team-leading 24 games last season, and recorded 51 innings pitched and 78 strikeouts and only 16 walks, is likely headed toward being the Cavaliers’ closer. Tanner, who had an outstanding summer offensively in the Cape Cod League, is expected to make a huge contribution, and senior Cam Simmons, who missed the entire season in ‘18, is transitioning to centerfield where O’Connor believes his athleticism will show. 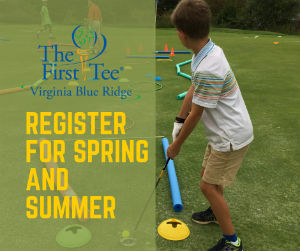 The players are excited about being tested right out of the gate when they open the season in Arizona, away from the team’s traditional openers at tournaments in South Carolina. O’Connor explained that four years ago, when the coaches of the four programs entered in this tournament agreed upon the event, it was originally scheduled to be played in Puerto Rico at the Roberto Clemente Stadium. Due to hurricane destruction, the event has been switched to Scottsdale. Major League Baseball took over this inaugural tournament and decided to place it at the Arizona Diamondbacks’ and Colorado Rockies’ spring training site, Salt River Fields at Talking Stick. 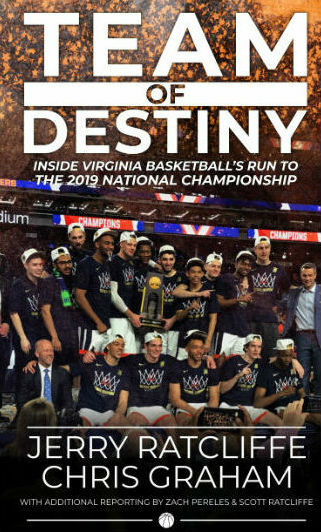 Virginia will enter the tournament as the only unranked team of the four, but looks forward to the challenge. Being unranked in the preseason for the first time since 2009 isn’t intimidating the coach said. That kind of turned out alright as the Cavaliers stunned the collegiate baseball world by bringing home their first College World Series national championship.